Oh hi guys! It's only been about forty-seven years since my last post, so let's start things off with some close-ups of my face with no make-up on... every 34-year-old mom's dream. This is unfortunately NOT my face. 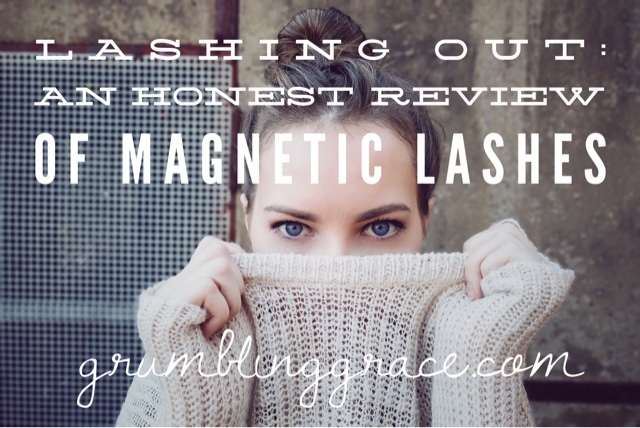 Today I'm talking about magnetic lashes. I've tried two popular brands (nope, not sponsored, just curious) and I'm going to take you through what they are, how they work, if they work, the price point, the pros and cons and the average length of time they last with a slightly clumsy and careless person using them (me. that's me). 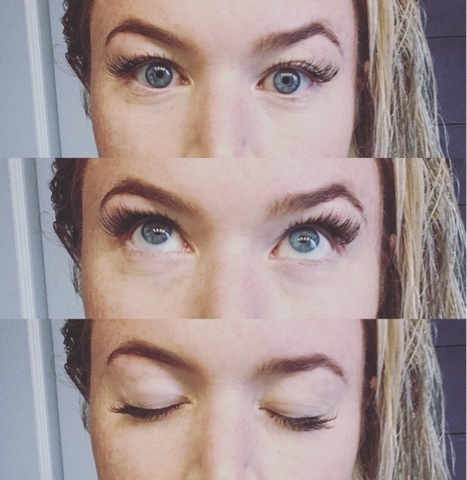 Because I'm a mom who wants to look fairly decent and because I'm blonde (think albino lashes) and have hooded eyes, I generally always use mascara. 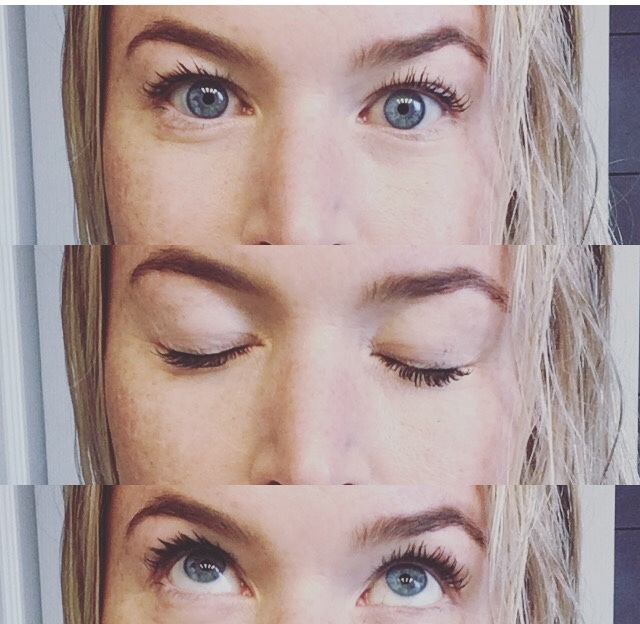 I've tried lash extensions several times and while I love the effect, I can't handle the lash glue. I'm allergic to it and I end up wanting to rip my own eyelids off. Ditto to fake lashes you apply at home only with a lot more glue and swearing and eventual sadness everywhere. SO, when I heard about these crazy magnetic lashes that have two strips (one to sit above your natural lash line and one to snap on below), I couldn't resist. The two main brands I tested are the Original One Two Lash and Isla West. One Two Lash was more expensive at $70 U.S. plus shipping but came with two pairs of lashes in a fancy case with instructions for use. Isla West was wayyy more economical at $14.95 U.S. with free shipping but came with no instructions in a fairly generic container. Because I live in the middle of nowhere in a prairie field in Canada, both took a while to arrive. The One Two lashes were longer, looked natural and more delicate, while the Isla West pair was darker, thicker, shorter and more dramatic. Here's a lovely close-up of my eyes with no mascara on. And now, here's a photo of me wearing mascara. I've been using the Senegence mascara (because I am currently obsessed with all things Senengence and lipsense but heck no, I don't sell it. Here's my crack Lipsense dealer: Perfect Pout on the Prairies). All over my eyelids because REAL LIFE. If you manage to put mascara on without getting it all over your face, GOOD FOR YOU. Now, here's the Isla West pair with NO mascara. I think they are bolder, even without mascara. And... here's the Isla West pair with mascara. 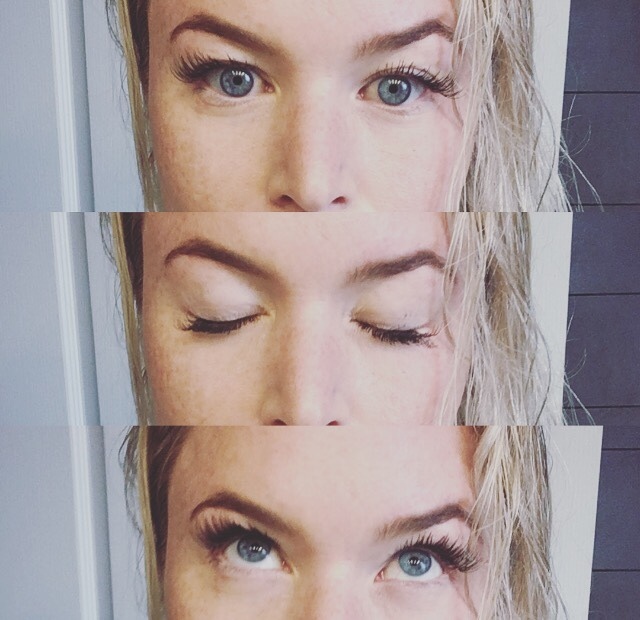 I wore each pair of lashes every day until they were toast and I found that with consistent use, the One Two Lash pairs lasted about 2 weeks each. Maybe with extremely delicate handling, you could stretch that out, but the lashes were looking a little bare and the shape of the lash was a bit bedraggled by that time, so I'd say for using up both pairs, one order lasted me about a month. The Isla West pair definitely retained its shape for much longer because of the thicker, more synthetic feel to the lashes. I would say that the ONE pair lasted me about 3 weeks to a month with every day use. I liked the look of both (as you saw above) since they gave different effects but it's worth noting that wearing magnetic lashes every day isn't super cheap. However, if you are already shelling out for lash extensions, I think it still comes in WAY under that price point with less time and maintenance. The benefits of magnetic lashes for me are that they don't bother my eyes or contacts at all, even after wearing them all day. I don't notice them on my face like any other false lashes or extensions and I find them much less noticeable in my vision. They also slide off and on with little to NO damage to my natural lashes and look great with or without mascara. Now that I've used to using them, I find either brand of lash takes about 10 seconds to place which is less time than my mascara application takes. Magnetic lashes definitely DON'T last forever so it is something you'd have to continue to repurchase. 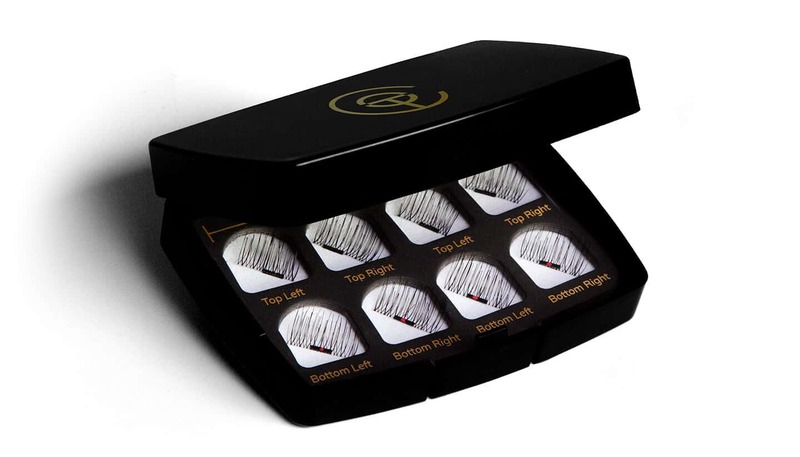 When I first received them, it took some trial and error time to place them properly on my lashes and to remove them properly (pinching and gently sliding the magnets apart, NOT RIPPING THEM OFF). 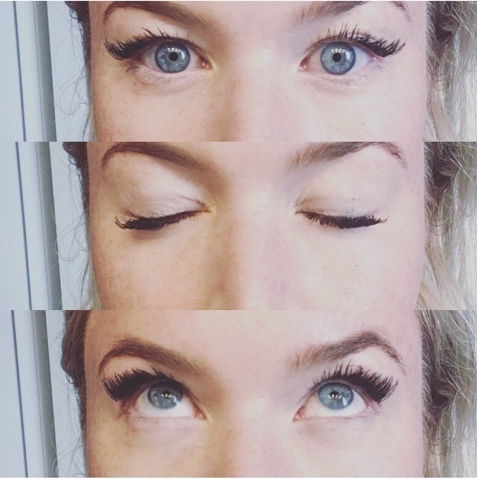 You also have to reapply these lashes each day and NOT LOSE THEM. I have definitely set my lashes down without their case and then lost them, so that's a downside. Additionally, they would not hold up in water or in strong wind so these aren't your beach vacation solution. While I haven't had any problems with either brand falling off (they are secure and feel great), my two-year old did cough at the table and knocked them right off my face with a projectile vegetable. You're welcome for that mental image. In the end, magnetic lashes are a product I will continue to RAVE about. I love the effect, the minimal hassle and the near-zero damage and irritation to my eyes. For a cosmetic product, you get huge bang for your buck with very few downsides. Over the last month, every gal I've talked to after complimenting my lashes has ordered their own pair. While I've only tried a few brands, I am definitely tempted to google magnetic lashes and try the $5 ones coming from China. Now that they are gaining in popularity, I think the price point of this product will come down and with a little experimentation, you could find the lashes you love fairly economically. I definitely recommend giving these babies a try. 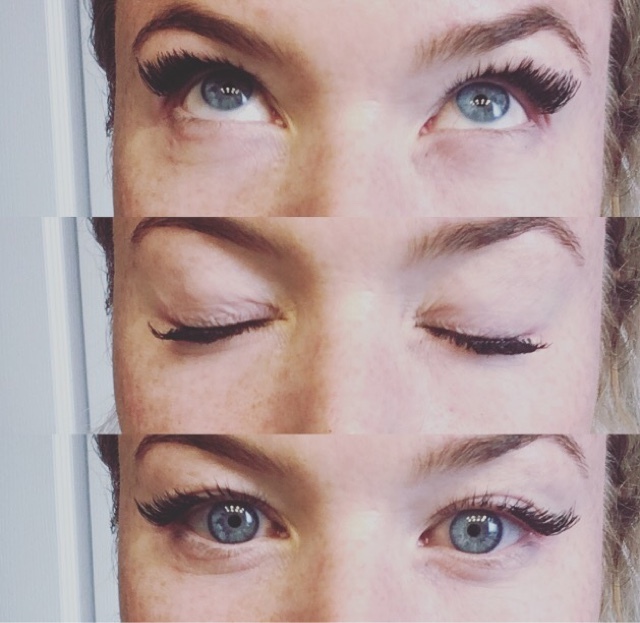 Whether you decide to take the compliment and let the people around you believe you're naturally gorgeous and endowed with luscious lashes (or if you're like me and immediately send them the link to your secret), bat those lashes and maybe wear some protective sunglasses around your toddler. Is this something you'd check out? If you give them a try or find some great brands you love, let me know!